For the past few years Valve have been raving about the performance benefits of OpenGL and they are going to GDC to present talks about topics such as glNext, Advanced VR Rendering, and Physics for Game Programmers. Even rumors that more of the ‘Steam Universe’ might be revealed. It should be remembered that GDC is for devs and it’s doubtful Valve will announce any specific game projects, but we are very excited what for Valve has in store for the future of the OpenGL API. It’s small, sure, but it’s very nice to now that Valve still has HL3 on their mind. Though, I wouldn’t hold my breath on an announcement anytime soon. Let it be known that on February 21st, 2015, Dota 2 became the first game on Steam to have over one million concurrent players. Just another accomplishment to add to the growing list that Dota 2 has accumulated. 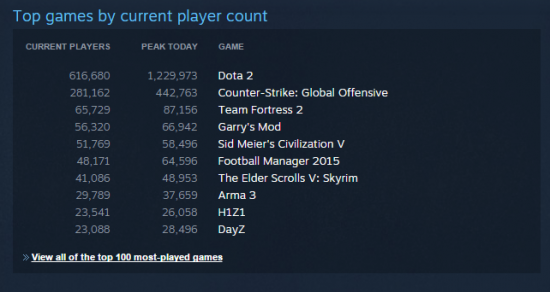 A testament to Dota 2’s popularity, maybe it’s time to give the game a shot? Black Mesa: Source or Black Mesa has been show some odds signs of activity recently. 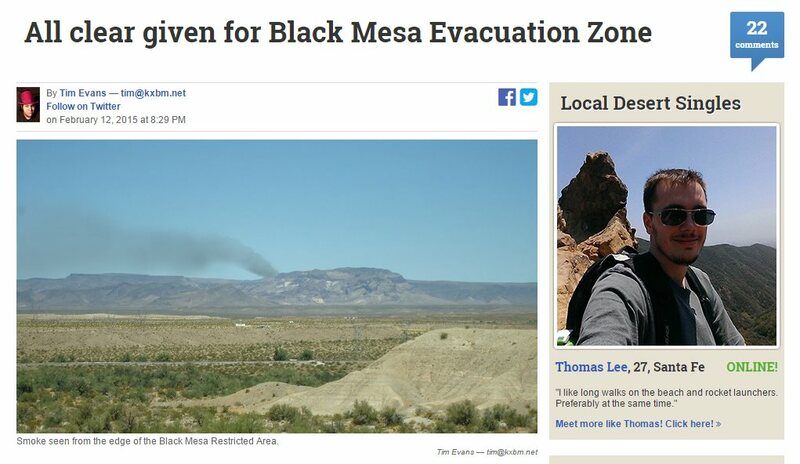 First, devs start retweeting links to a Black Mesa Research Facility website that only has an Emergency Broadcasting Signal on it, then that website gets updated to redirect to a fake news site that reports on an ‘all clear’ for the Black Mesa Evacuation Zone. The Local Desert Singles link directs you to a fake dating site that’s having ‘Excessive Server Load’. All other links on this site redirect to a creepy color test background that occasionally has the G-Man pop up. Could this be signs that the full version of Black Mesa is on it’s way? One can only hope so, if playing this ARG brings us any closer to more Black Mesa news, then all I have to say is: Game on. So there we have it, some Black Mesa news, Source 2 with OpenGL on the horizon, Dota 2 breaking records, and a little Half-Life 3 tease as usual. It’s official, vulkan is the name and will use something called SPIR-V along with it. Actually, SPIR-V is a freaking good idea since this will make drivers simpler to do and hardware independent. Ever heard of LLVM bytecode or Java bytecode? That’s mostly what SPIR-V is all about. Some more explanations on http://blog.imgtec.com/powervr/trying-out-the-new-vulkan-graphics-api-on-powervr-gpus for the interested. I’m pretty stoked for Black Mesa Source. Xen is gonna to look great. – OpenGL was initially created in 1992 by Silicon Graphics, graphics chips have changed a lot in term of usage, architecture, size and power. We do depend of this API even more than previously in the past and the scalability has shown its limits. 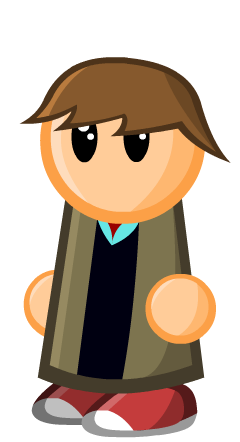 The gl extention model was the way to go but keeping compatility is starting to get at its limits (even if there is some stuffs that are deprecated). Having glNext to break compatibility might be the good time to rethink what we are gonna do for the next decade in term of computer generated graphics. – About who chose the design of opengl is also important. It’s not like a big company building their new 3d api and now say “this is how it works, deal with it, and it only works on * and later”. The people who will present glNext might as well be the guys that will use it intensively in the next future. Those guys build what they needed, the way they wanted it to be. And it’s not some early high-schoolers programmers, it’s Epic games, Unity and Valve software. – The guys that will present glNext are eavily involved in multiplatform softwares. We can hope to have an even-more portable API and it would even be easier to share the same codebase on multiple systems. GL ES and classic OpenGL might just merge together and now just be glNext, who knows? Your comment has me very hyped, can’t wait to see what else Valve has up their sleeves. Khronos Group (responsible for creating new versions of OpenGL) just made a trademark for a new graphic API called Vulkan. Vulkan – or volcano for German speakers – and Mantle seem to be quite well matching together. Even more ,let’s get reminded AMD gave free access to their approach without any fees (source: http://techreport.com/news/26922/amd-hopes-to-put-a-little-mantle-in-opengl-next).